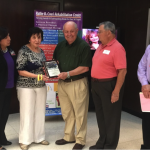 The Ruthe B. Cowl Rehabilitation Center founded by the late Ruthe B. Cowl in 1959 is the pioneer of physical and emotional restoration and has been serving Laredo and surrounding areas for over 55 years. 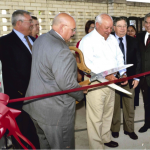 The Centers main purpose is to live up to its mission; to assist all individuals with disabilities whose condition can be improved by the services offered at the Center regardless of economic status. Only in a setting like the Ruthe B. Cowl Rehabilitation Center can you receive the comprehensive physical, occupational and speech therapy program you will need to restore or develop full your ability to function at your highest level. The Center has the experience; the certified, dedicated, qualified staff; the best equipment and the varied services and specialized team approach needed to help you. The Center is also a leader in regional health education; presently affiliated with several local, out of town and out of state educational institutions to provide internships and practical experience for students in therapy/health-related fields. 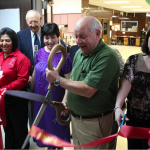 The Center provides over $300,000.00 worth of free services a year to our community; where would these individuals go if the Center is not here? Thanks to the Community’s continued support we do not have to ask that question. 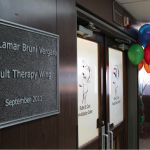 Ms. Lamar Bruni Vergara and the Lamar Bruni Vergara Trust have been Strong Supporters of the Center throughout its 55 years of existence. 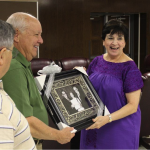 Ms. Lamar Bruni Vergara and Mrs. Ruthe B. Cowl loved Laredo; both of them left their footprints in our community and most of all in our hearts; one sprang to action when she saw a need for medical services and the other was blessed with wealth and a very, very generous heart who chose to share her godsend for the betterment of our community through the Lamar Bruni Vergara Trust. 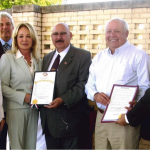 Their combined efforts helped numerous individuals in the past and will continue to do so to the countless yet to come. The Lamar Bruni Vergara Trust continual generous funding support for Patient Care Services throughout the years, monetary contribution towards our second to the last expansion of our building in 1977 by Ms. Lamar Bruni, the re-opening of the speech therapy department in 2009-the remodeling of our admission area and expansion of our adult physical therapy department, in 2011 (which is now named “The Lamar Bruni Vergara Adult Therapy Wing”) has helped the Center serve the community by providing the much needed space and health care services to our community. The Lamar Bruni Vergara Trust has caused a beautiful tapestry of human kindness for their fellowman. 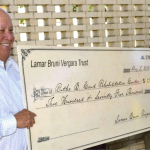 The commitment of Lamar Bruni Vergara was there then and the Lamar Bruni Vergara Trust continues today by the encouragement and support we have received from Mr. Pearl and Mr. Martin Trustees of the Lamar Bruni Vergara Trust. 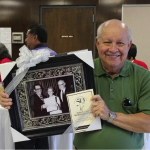 Our heartfelt thanks to the Lamar Bruni Vergara Trust for having faith in our organization and ensuring that the community of Laredo does have to do without the health care and educational assistance needed to live a fruitful life.